Christopher M. Tinson, Ph.D. is currently an Associate Professor of Africana Studies and History and Director of the African American Studies Program at Saint Louis University. His research and teaching focuses on histories of Africana radical traditions, U.S. Ethnic Studies, critical media studies, incarceration, and race and sports. In addition to writing for Black Perspectives, his writings and reviews have been published in the The Black Scholar, The Feminist Wire, Radical Teacher, Equity & Excellence in Education, SOULS, andCounterpunch. His first book entitled Radical Intellect: Liberator Magazine and Black Activism in the 1960sis published on UNC Press, and was the winner of the inaugural Pauli Murray Prize for best book in African American Intellectual History from the African American Intellectual History Society (AAIHS). 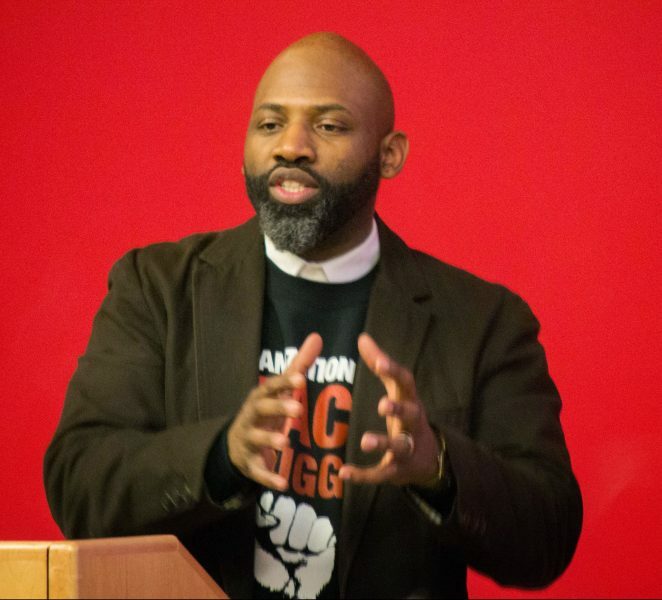 Professor Tinson is a highly sought-after speaker and mentor who has led professional development workshops and lectured at numerous college campuses, high schools, and carceral institutions throughout around the country. He is an avid lover of basketball, used bookstores, and good coffee. Follow him on Twitter @Dahktin.